I'm a neutral girl. I think I like colour but when it comes to eyeshadow I just don't so as you can see I kept it pretty neutral here. Two taupey shades and one shimmery beige shade. 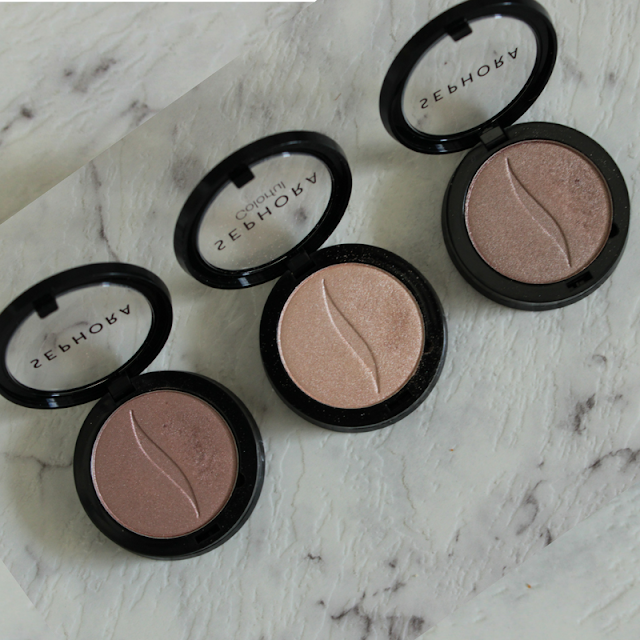 All three of these single eyeshadows are beautifully buttery and extremely pigmented. Just one swipe through with your finger and the product is so rich without a hint of powder or patchiness. I'm in love. 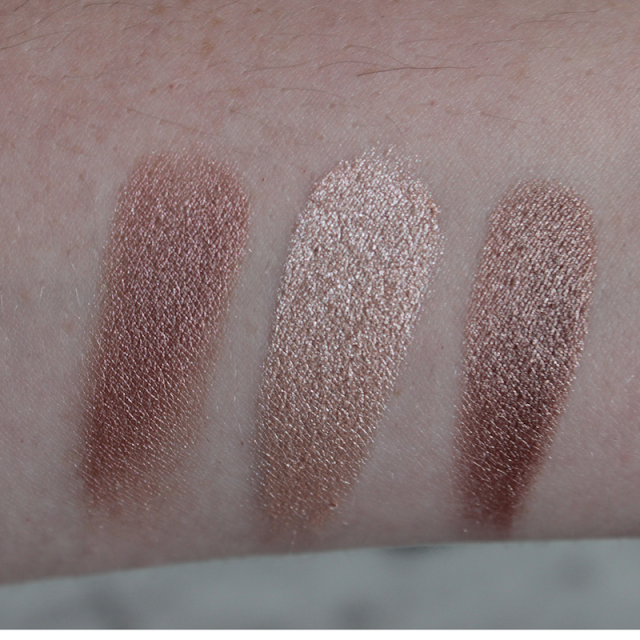 The shades I have here are all in the Shimmer range and are Flirting Game No46, Satin Corset No281 and Faux Fur Jacket No48. 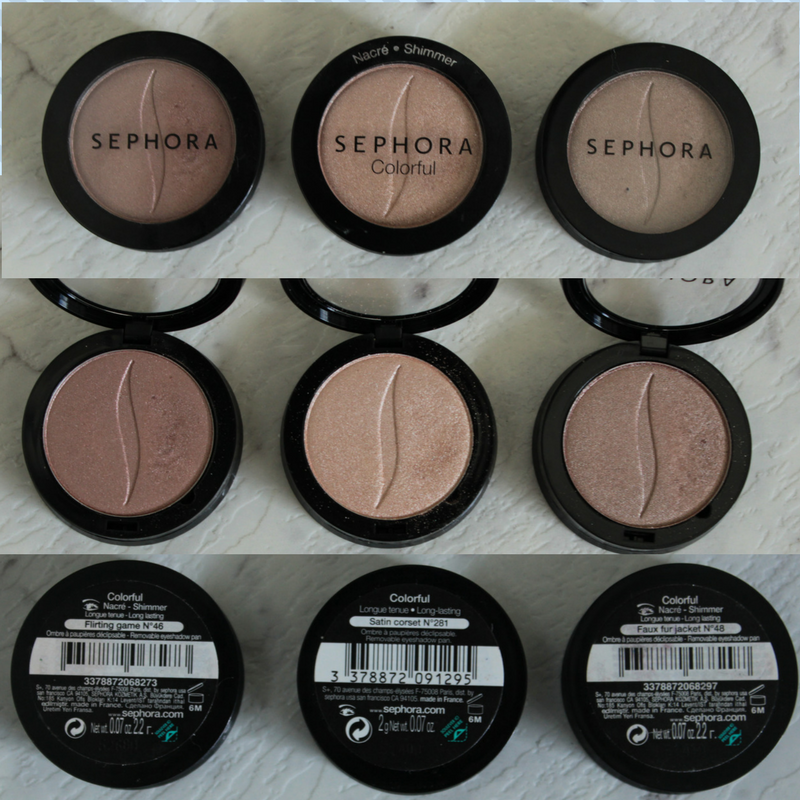 Satin Corset is described as a pinkish ivory and I find it very similar to my Stila Kitten eyeshadow with less fallout. Flirting Game and Faux Fur Jacket are very similar shades but Flirting Game is more on the pink side while I would say Faux Fur Jacket is more of a true taupe shade and is deeper in colour. The Sephora Collection Single Eyeshadows that I picked up in Flirting Game, Satin Corset and Faux Fur Jacket are incredible. All three of them are easily in my favourites and sometimes I struggle to choose which one to wear. 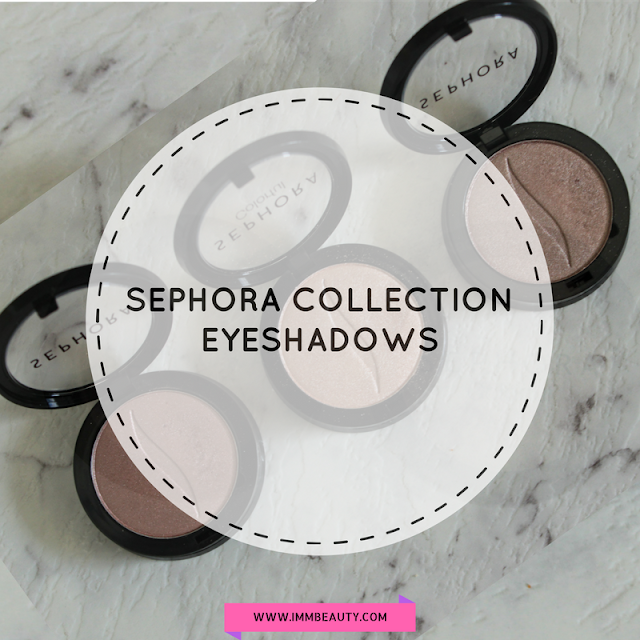 They go great when doing a full eye look but wear easily just as well on their own all over the lid. They are a dream to apply and are really long lasting with just the perfect amount of shimmer. They cost $17AUD for 2g of product which is pretty pricey but I'll definitely be picking up more shades next time I'm at Sephora. I might even try branch out into some different shades this time. Ha. Have you tried anything from the Sephora brand of cosmetics and loved it? I'd love to hear about it. Feel free to comment below or chat to me on Facebook or Instagram. P.S This week is your last chance to get your entries in for my Zoeva Eyeshadow Palette Giveaway. Click here to get yourself in the draw. Ends Friday 31st March. Your reviews are really amazing since you are always so honest. I'm a big fan of your work and you always help me chose better make up products for myself. Thanks for it.